Divorce is trying on a family. It is never a pleasant experience, but it doesn’t have to be a miserable one. There are numerous benefits to having an uncontested divorce (or agreed divorce) over a contested divorce. Divorces don’t have to be the contentious experience that many people envision when they hear the term. The main difference between a contested divorce and an uncontested divorce is that, when a divorce is contested the outcome is ultimately decided by the courts. If both spouses agree on the majority of issues, you’re probably best off with an uncontested divorce. Typically speaking, uncontested divorces are much faster than their contested counterparts. This can vary based on several factors, including how long it takes both parties to come to a full agreement. Uncontested divorces tend to be much cheaper, as well, in large part because they do take less time. That means fewer legal and court fees draining your bank account. If you and your spouse can agree on these things without needing a judge to make the final decision, you’ll have a faster, less complicated, and more amicable separation. As hard as it is for a family to split up, it’s often hardest on the children. 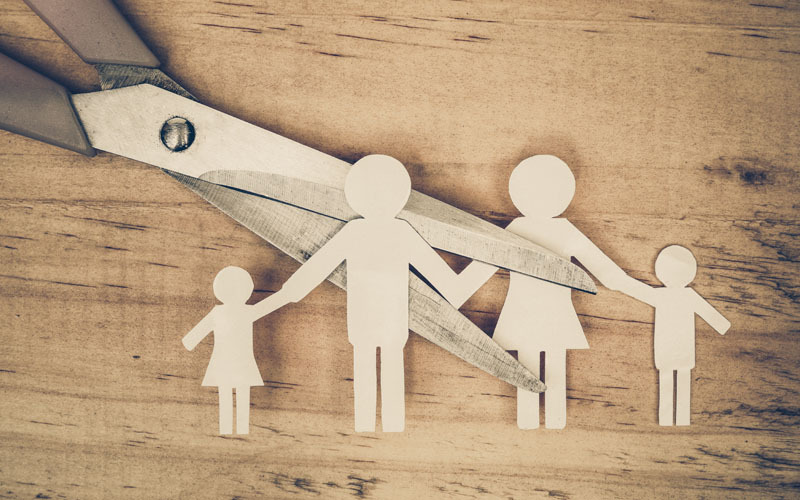 An uncontested divorce is almost always a better experience for any children involved specifically because both parents can show that they’re still willing to work with one another to reach the best possible outcome for the entire family. There are a variety of emotional and financial benefits to choosing an uncontested divorce over a contested one. This is most applicable when minor children are involved. You and your spouse are obligated morally and lawfully to take care of your children – to have their best interests at heart. If the children see that one or both parents are miserable or hateful to the other party, it will negatively affect them. Of course, in some cases, this can’t be helped. But, if at all possible, parents who are able to work things out without a judge’s intervention are best off working together and sharing the responsibility of raising their children. Just because a divorce is uncontested doesn’t mean that attorney representation isn’t needed. MicroDivorce offers a quick and easy service for uncontested divorce in Oklahoma. This is not a paralegal document-filing service; our licensed Oklahoma Family Law attorneys will advise you legally to ensure that you get the best outcome possible from your divorce, all at an affordable price. Find out now if your situation qualifies you for the MicroDivorce process. © 2019 MicroDivorce. All Rights Reserved.